please read the rules, it will answer all your questions! 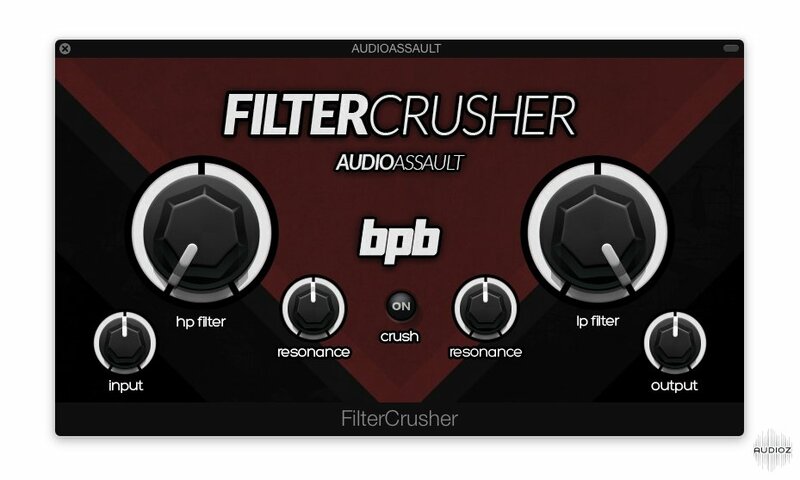 FilterCrusher, a collaboration between Bedroom Producers Blog and Audio Assault is a dual tube filter effect for mixing and sound design purposes. The plugin features a pair of resonant filters and a modeled tube preamp circuit for subtle tube saturation. Additional "crush" mode boosts the input gain and results in audible tube-style distortion. The emulated tube circuit can go anywhere between the mildest possible saturation and full overdrive. When used at reasonably low settings, FilterCrusher adds a bit of analog mojo on top and helps even out the dynamics of the processed signal. By engaging the "crush" mode, the plugin steps into distortion category, which is perfect for getting more aggressive sounding results. Under the hood, the plug-in features the same tube preamp modelling algorithms as the one used in commercial guitar amplification software by Audio Assault. FilterCrusher is the result of a collaboration between Audio Assault (programming) and Bedroom Producers Blog (concept and GUI). FilterCrusher is released as a 32-bit and 64-bit VST and AU plugin formats for Windows and Mac OS X based host applications.